Mighty Rabbit Studios is an independent game development studio based out of Raleigh, North Carolina. Josh Fairhurst and Nicholas Allen founded the company in August of 2010 through the inaugural session of Joystick Labs, a game development focused tech incubator. The company released its first major project Saturday Morning RPG onto the Apple App Store in April of 2012. 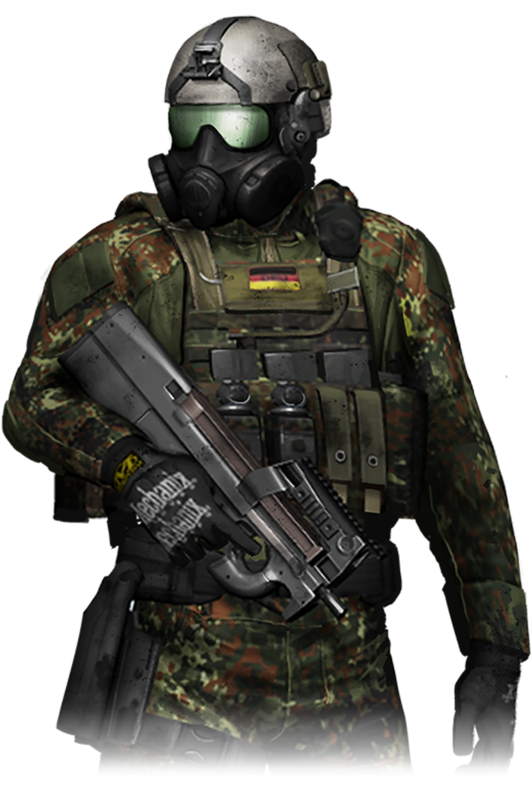 Their sophomore release, Breach & Clear, was released in July 2013. Both games have been well received by both critics and players alike. To date, more than 2 million players have downloaded a Mighty Rabbit game! Mighty Rabbit Studios has done contract work for clients at AT&T and Carnegie Learning. For AT&T, Mighty Rabbit built a Kinect based crime scene investigation prototype. With Carnegie Learning, Mighty Rabbit constructed a 2D educational flash game for use in their curriculum that interfaced with their student progress tracking backend. Breach & Clear: Deadline is a followup to Breach & Clear that takes many of the core elements of the original game and spins them into something entirely new. The game is an open-world tactical action-RPG that features two-player drop-in/dropout networked co-op play. It is a massive game with over 250+ unique pieces of loot (gear, guns, attachments, etc. ), four large open-world areas to explore, and five procedurally generated dungeons to conquer. Once again, Breach & Clear: Deadline was built as work-for-hire for the same clients at the original game. It was co-published by our clients as well as a major publisher, Devolver Digital. – Launched January of 2015 via Steam Early Access. – Released from Early Access in July 2015 for PC, Mac, Linux. – Xbox One and PlayStation 4 versions are currently in development. – Generated nearly $200,000 in revenue during its first week of sales on Steam. – Built in less than a year with only our core team plus a few part-time contractors. Breach & Clear is a simultaneous turn-based tactical strategy game with a heavy MilSim bent. 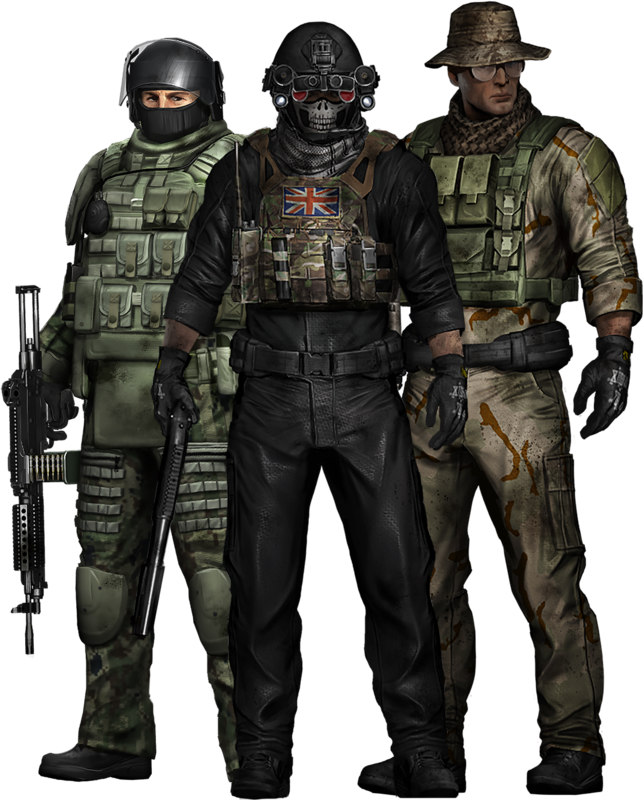 Breach & Clear was designed and created with the input of top special forces trainers and operatives. We built and designed Breach & Clear as a work-for-hire project for clients at Gun Media Holdings. – Released on PC, Mac, Linux, iOS, Android, PlayStation Vita, and Wii U. – Over 1,000,000 unique players since launch. – Featured in multiple Humble Bundles (Humble Android Bundle 9, Humble PC and Mobile Bundle 10). – Featured by Apple numerous times on the iOS App Store (Best New Games, New & Noteworthy, Best Military Games). 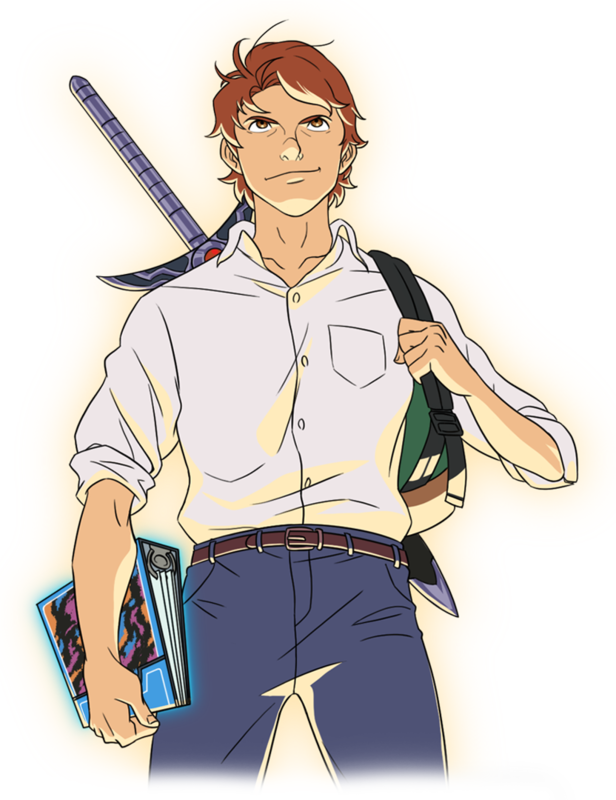 Saturday Morning RPG is an episodic Japanese style role-playing game set in a world inspired by 1980s Saturday morning cartoons and pop culture. The game boasts a soundtrack by legendary composer Vince DiCola (Rocky IV, Transformers). – Launched in April 2012. – Released on PC, Mac, Linux, iOS, OUYA, and Gamestick. – Upcoming releases planned for Android, Wii U, Xbox One, PlayStation 4, and PlayStation Vita. – Nearly 750,000 unique players have played Saturday Morning RPG. – Featured by Apple multiple times in the Mac and iOS App Store. Notably included on their “Best Games You’ve Never Played” feature list for the majority of 2013. – Successfully Kickstarted to the tune of nearly $11,000 (bear in mind – this was right before Double Fine changed the crowd funding landscape forever). Fat Chicken is a reverse tower-defense game that we built for clients at Relevant Games. It is a satirical look at factory farming that is meant to educate players on the realities of the meat industry. – Launched December of 2014. – Released on PC, Mac, Linux, and iOS. – Won “Best Overall Digital Game” award at the Meaningful Play conference in 2014. Mighty Rabbit Studios is currently wrapping up work on console ports of Saturday Morning RPG and Breach & Clear: Deadline. They are also working on launching a new physical game publishing imprint, Limited Run Games. 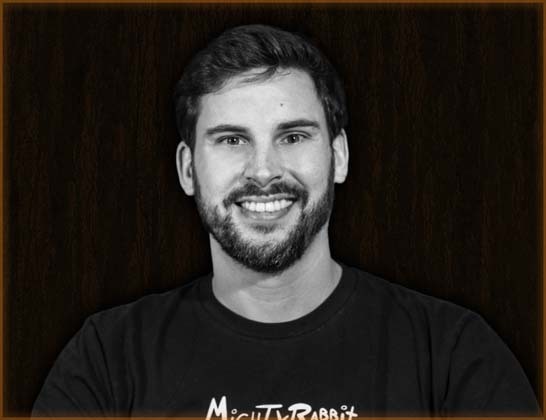 Josh Fairhurst is the co-founder and president of Mighty Rabbit Studios. He served as a programmer and as the lead designer on Saturday Morning RPG and has continued those roles into subsequent projects. Josh received a bachelor’s degree from North Carolina State University in computer science. While he was a full time student, Josh worked as a game tester at Epic Games on Gears of War 2 – a job that proved Josh had the resilience and passion to weather the industry’s storied crunch time. He has been programming and designing games since he was a kid with a Tandy computer and a copy of QBasic. His senior project in college, Terraform, went on to be a finalist in the Serious Games Showcase at I/ITSEC in Orlando, FL. 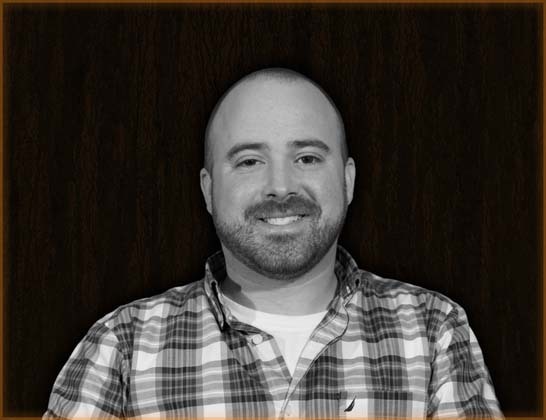 Ben has worked several years gleaning experience in people management, project management, digital marketing, and software sales across several industries including hospitality and software as a service companies in the Triangle area. 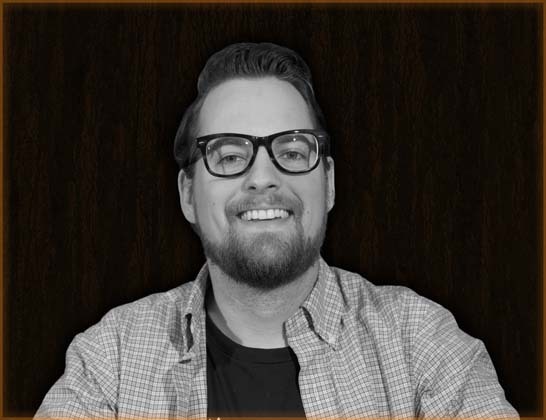 He is the current producer for the studio and member of the business development team for the studio’s publishing off-shoot Limited Run Games. During development of Saturday Morning RPG he acted as the original business development and marketing/PR representative for Mighty Rabbit Studios. 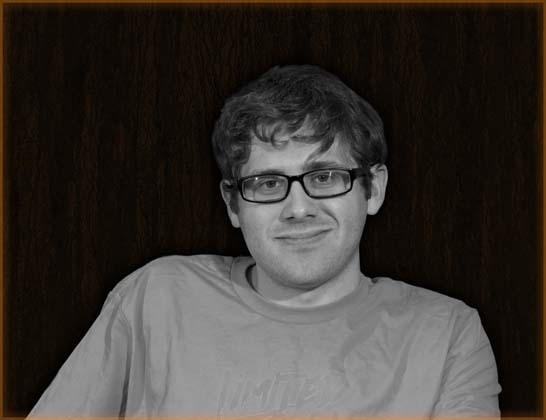 Chris Cooper is a talented 3D artist and game designer with strong skills in optimization for low spec games. He provided the level design and a majority of the 3D art in Saturday Morning RPG, and was the sole artist on Cylinder. He was one of the lead designers on both Breach & Clear and Breach & Clear: Deadline contributing huge amounts of effort to the games’combat design, mechanics, and progression systems. His student game IsoSphere, which he worked on during his time at Wake Technical Community College, won second place at the 2006 Digital Games Expo game creation competition which included colleges from around North Carolina. Chris is currently the design lead at Mighty Rabbit Studios. Kurt Hasian received both his Bachelor and Master degrees in Computer Science at North Carolina State University. For his undergraduate degree, he finished in 3.5 years, while taking graduate level courses as part of an accelerated Bachelor’s/Master’s program. He also graduated valedictorian and a year later completed his Master’s degree. While at NC State, Kurt actively participated in games related projects and classes. He worked with Josh and a team of 4 others in a video game project course, which resulted in Terraform. Since graduating, Kurt has become a great asset to Mighty Rabbit Studios, lending design and programming talent to Saturday Morning RPG and Cylinder. 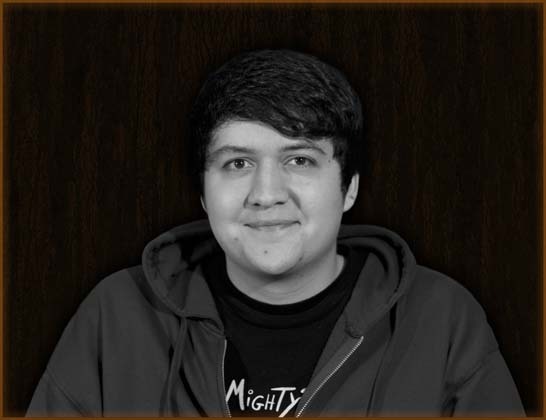 Kurt is the lead programmer at Mighty Rabbit Studios. Kurt was co-lead programmer on Breach & Clear. 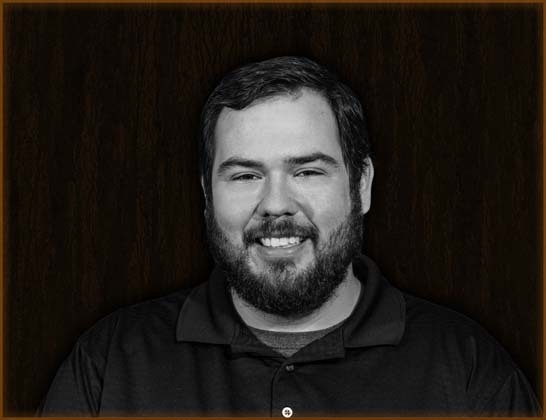 David graduated with a degree in Simulation and Game Design from Wake Technical Community College, where he focused on 3D modeling, 2D digital art, and level design. 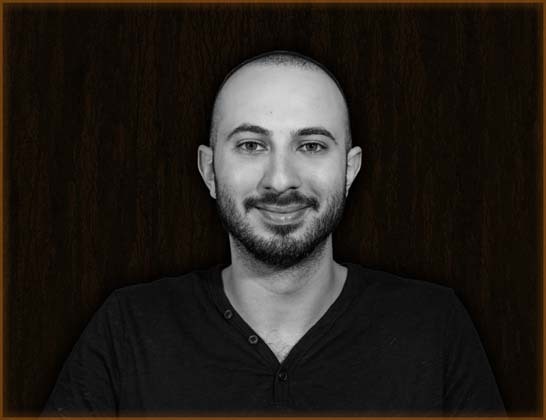 He has previously worked on several contracts building 3D environments and creating art assets with local development studios, including Virtual Heroes. For the past year he has been an environment and UI artist at Mighty Rabbit Studios where he specializes in creating mobile optimized 3D art and high-quality 2D user interfaces. David was the lead environment artist on Breach & Clear. He also served as the lead environment artist on Breach & Clear: Deadline, building and populating four huge open-world areas in less than a year. Adrian has worked on a variety of 3D game projects, starting with S.T.I.M.U.L.A.T.E., an interactive classroom simulator for Wake Technical Community College and the National Science Foundation. After leaving school he developed the iOS shooter M.U.S.E. with Lab Rats Studio as lead programmer. He also worked as the lead programmer on Infinite Warrior. Adrian specializes in rapid prototyping and player interaction programming. 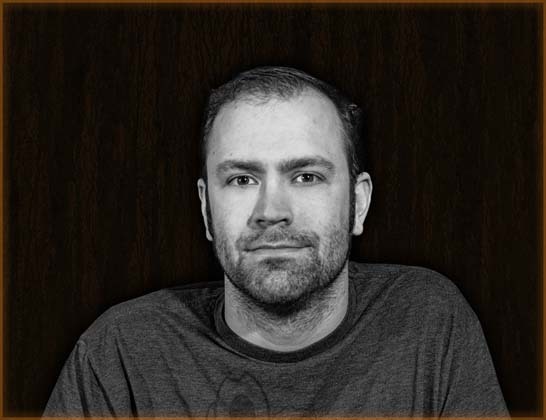 Adrian was co-lead programmer on Fat Chicken, Breach & Clear, and Breach & Clear: Deadline. Shadie was previously one of the head artists on M.U.S.E., a third-person shooter for iOS and Android. After that, he served as the lead environment artist on Infinite Warrior for iOS. During his first gig at Mighty Rabbit Studios, Shadie was the lead weapon artist and animator for Breach & Clear. Following that, he was the primary effects artist and animator for Fat Chicken. Most recently, Shadie was the lead animator, weapons artist, and effects artist for Breach & Clear: Deadline. Alfonso graduated from Full Sail University with a bachelor’s degree in computer science. He is the lead programmer on the Nintendo Wii U, PlayStation 4, and PlayStation Vita versions of Breach & Clear, Breach & Clear: Deadline, and Saturday Morning RPG. 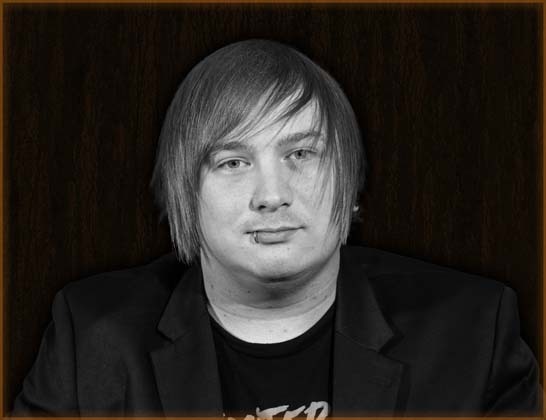 He specializes in gameplay, graphics, and tools programming. Pete graduated from Appalachian State University with a degree in marketing. Pete is responsible for a variety of tasks at Mighty Rabbit but is primarily a quality assurance tester for our titles. He was the lead tester on Breach & Clear and Breach & Clear: Deadline. Douglas has previously worked in sales and customer service for 8 years. He was previously at Ubisoft, where he did technical support and worked as a Game Manager on Tom Clancy’s Ghost Recon Phantoms. At Mighty Rabbit he provided quality assurance on Saturday Morning RPG, Breach & Clear, and Breach & Clear: Deadline. He also provided technical support for Breach & Clear: Deadline. 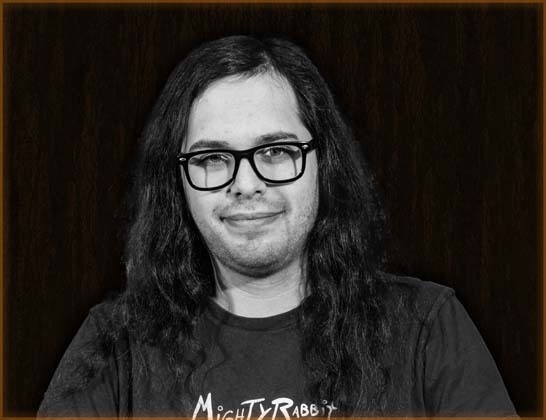 His new focus is community management for Mighty Rabbit Studios and Limited Run Games. Limited Run Games is an offshoot of Mighty Rabbit Studios that publishes limited run physical games for PlaysStation Vita and PlayStation 4. It is focused on bringing games that were previously only available in a digital format to a physical medium. Our releases are truly limited- once a game sells out, it will never be available again. We believe that, as collectors and consumers, you should be able to trust when we say our games are limited- they are! Our goal is to serve gamer and collectors by bringing physicality back to games. We hope that we're not crazy to think that there other people just like us that still want physical games!